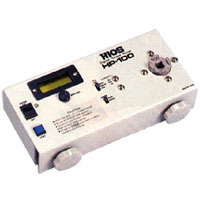 Torque meters for torque setting of electric screwdrivers, checking of torque drivers or torque wrenches, etc. and torque measuring of rotors. Measured torque is displayed on digital indicator.